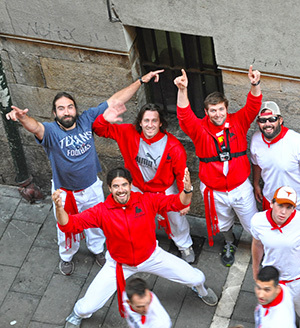 Trust us, you don’t want to watch the Running of the Bulls from street level. Treat yourself to a morning of fun. Kick back and get the best seats in the house – at our private Pamplona balconies located in the heart of the action. 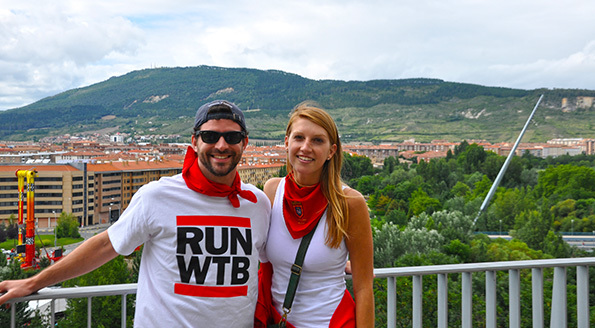 We host guests at two of the most coveted viewing spots! Based on availability, each balcony only reservation is $150 (USD) per person. 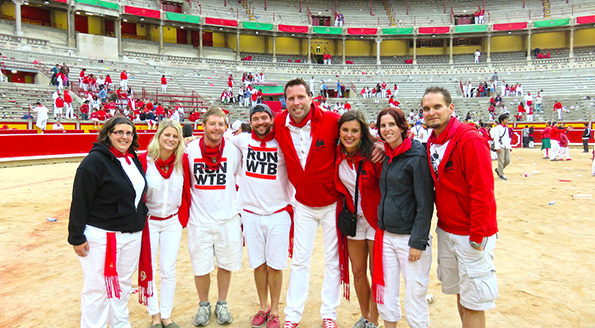 If you’re not on the street running with the bulls, you will want to be with us above the fray. Our balcony is located a little more than halfway Estafeta, which is the longest of the four streets involved in each run. Based on availability, we offer balcony only reservations at $150 per person. If you’re not on the street running with the bulls, this an outstanding place to watch comfortably. Each run is broadcast on national television, and we have a TV up and running showing the beginning portions of the run that are out of our sight lines. We are also located directly across from one of the television cameras, which is a tribute to our balcony quality. 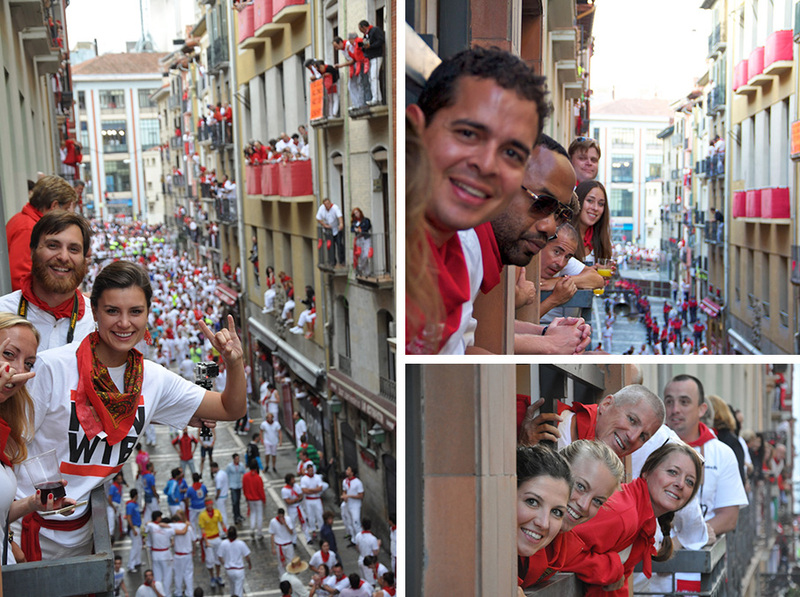 In our experience, it’s one of the best Pamplona balconies you can find. Our staff and clients have been at this location for the past several years and we love it! 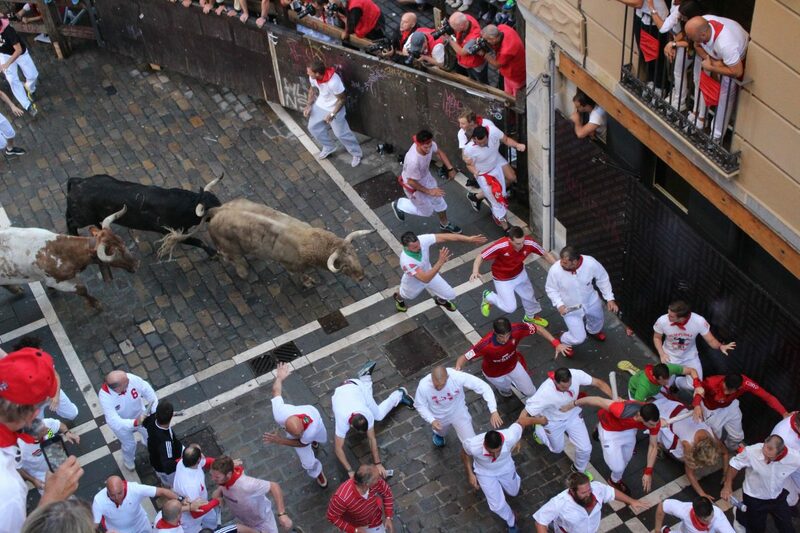 Witness the most dangerous portion of the Running of the Bulls from above! 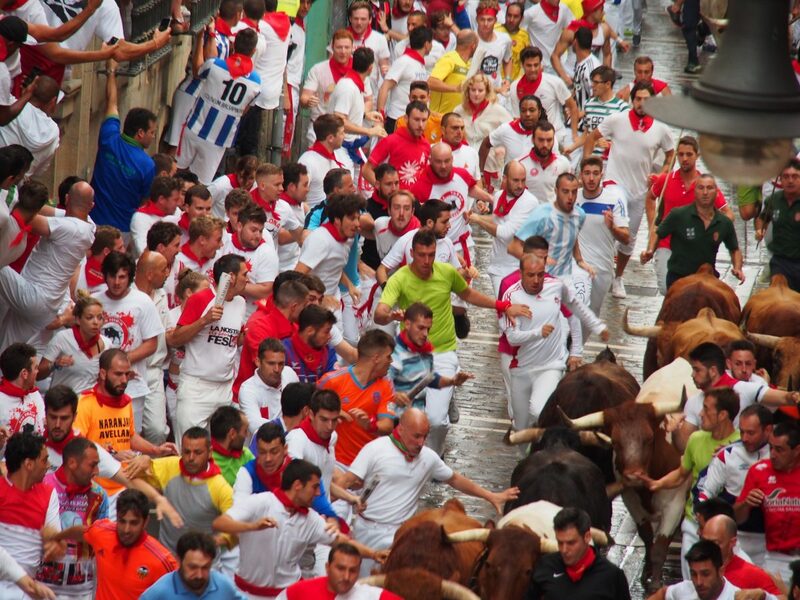 We have an incredible location at the corner of Calle de Mercaderes and Calle de Estafeta, known as “Dead Man’s Curve” or “La Curva.” As the bulls come charging down the street, there is a 90 degree turn that has unpredictable results. 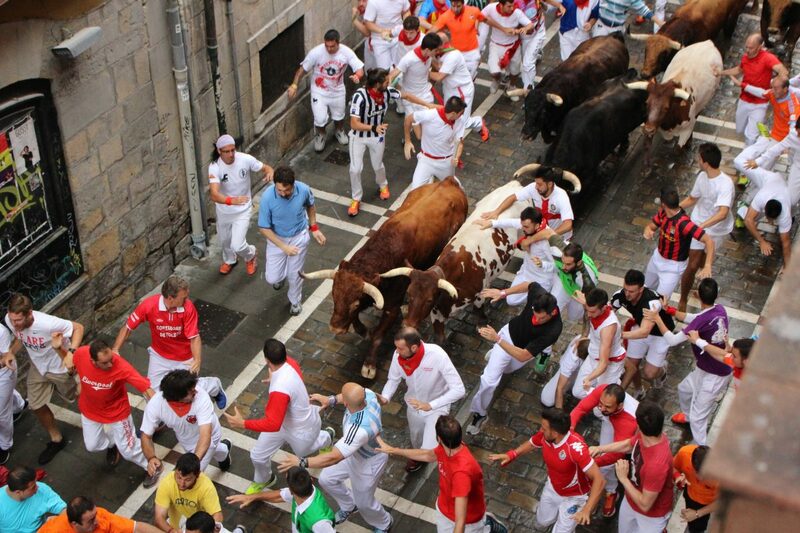 Sometimes the bulls make the turn, sometime they wipe out, sometimes runners get caught in all of the mess. Enjoy this incredible view with a breakfast in your belly! We serve a traditional Spanish breakfast with a variety of drinks for those in attendance. Our breakfast spread includes items such as beer, wine, cava, juice, sangria, coffee, Spanish ham and tortillas, fruit, Spanish snacks, pastries, and more! Each run is broadcast on national television, and we have a TV up and running showing the beginning portions of the run that are out of our sight lines. If you are seeking just a balcony spot, please note that we accept only a small and exact number of people to watch from our balcony and share breakfast with us each morning. We want everyone to be able to see the run easily. Therefore, we suggest that you reserve your space as soon as possible. You must enter before 7:00 because the police close the street at this time. Runners lining up for a morning Bull Run. 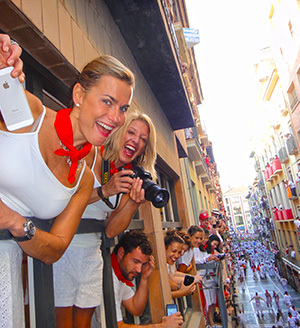 A view from one of our two balcony locations, this one is on Calle de la Estafeta, the longest section of the bull run.